Anite has submitted the first LTE test case 8.1.2.1 based on the conformance test specification 36.523-1. The test case was debugged using the LG Electronics LE03 UE. This is in a way good news as the industry is moving forward at an amazing speed. The Release-8 of LTE was finalised in reality in March 09 (or Dec. 08 for some specs). 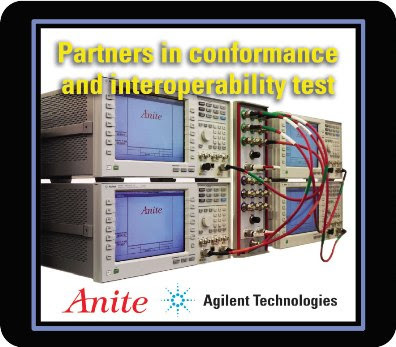 Anite has partnered with Agilent for the conformance testing and this release of TC's is a good way forward towards proving industry leadership. Looking at the latest test cases that have been submitted, it seems another couple of tests 7.1.1.1 and 8.1.1.1 have been submitted as well. People who are interested in technical details can look at the logs submitted and get the details of the messages that I have specified in the message flow earlier here. Anite, a global leader in testing technology for the wireless industry, and LG Electronics (LG), a global leader and technology innovator in mobile communications, today announced the successful verification of the industry’s first LTE protocol conformance test cases. Anite and LG Electronics have made the results from their groundbreaking work available to the members of the 3GPP standards body, so that the entire mobile industry may benefit from this milestone achievement. Conformance testing is fundamental in leading-edge technologies, such as LTE, because it ensures that new handsets and data cards deliver both the applications and services anticipated by the end user and the ability to work seamlessly with existing users and networks. LG uses Anite’s LTE solution – which provides a suite of development tools for UE designers – to develop their devices in advance of LTE networks being available, ensuring these meet the industry’s rigorous certification requirements during the earliest stages of their development cycle. 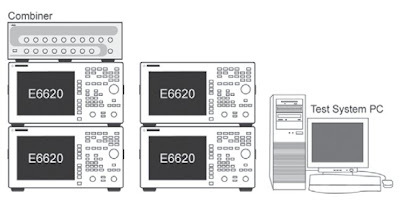 The new tests build upon Anite’s comprehensive portfolio for all leading 3GPP protocol technologies from GSM through EDGE and WCDMA to the latest HSPA+ standards. Anite’s unique blend of software-only host and target test solutions for 2G, 3G and LTE technologies allows developers to adopt a total end-to-end test philosophy for all of their wireless testing needs, reducing both their time and cost to market.